The Yahoo! Directory is a great place to feature your business. You can choose between 15 directory categories, including: Arts & Humanities, News & Media, Business & Economy, Recreation & Sports, Computer & Internet, References, Education, Regional, Entertainment, Science, Government, Social Science, Health, Society & Culture and New Additions. Before discussing the details regarding registration steps, it is important to differentiate between the financial nature of Yahoo! Directory: there is a free service and a paid service. 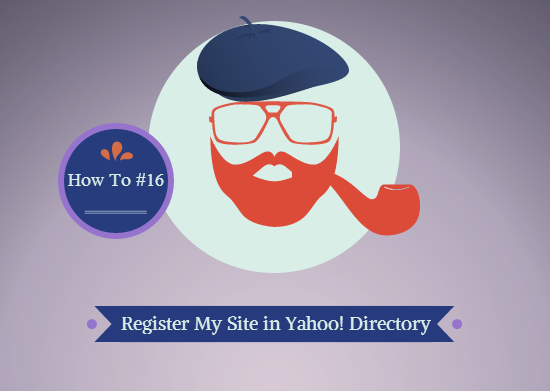 If your website is of non-commercial nature, then you won’t have to pay any fees to register it to the Yahoo! Directory. If your website is of commercial nature, then a fee may apply. The fee is usually $299/year (and $600 for the adult content/services websites). Does Yahoo! Directory Offer a 100% Guarantee of Approval? This answer will probably make you feel insecure, but no, there is no 100% guarantee. Keep in mind that even though you are going to apply for submitting a commercial website, listing yours even in terms of paid submission is not guaranteed. However, the good news is that over 95% of the sites submitted this way will be approved. You have to make sure you follow all our previous tips and maximize the quality of your website. Simply access the following link: search.yahoo.com/info/submit.html. Then, complete the registration form with all the details requested and wait for one of the editors from Yahoo! Directory to analyze your submission. It can take up to eight weeks to receive an answer, so please be patient. If you have submitted to Yahoo! Directory in the past, please share your experience so we can improve this article.